Have you ever thought about LASIK surgery to correct your vision? If you’ve been wearing contacts and eyeglasses for years but find that they get in the way of your day-to-day activities, then LASIK may be a great option for you. As your local San Antonio optometrist, the team at Vision Source Castle Hills is happy to check your eligibility for LASIK correction surgery and find a trusted referral in the field. From your initial evaluation to post-operative care, we are your number one source for LASIK care in San Antonio. The procedure utilizes advanced lasers to precisely and delicately correct these vision issues. By creating a thin flap in the cornea, your LASIK surgeon can reshape the cornea, leaving you with 20/20 vision or better. LASIK candidates must be 18 or older. Your eyes should be generally healthy with no eye diseases or corneal abnormalities. Patients must be able to lie flat without difficulty or discomfort during the procedure. Do you play sports, have allergies or are you looking to simplify your lifestyle without the use of contact and eyeglasses? Can you stop wearing contacts for at least 2 to 4 weeks before the procedure? 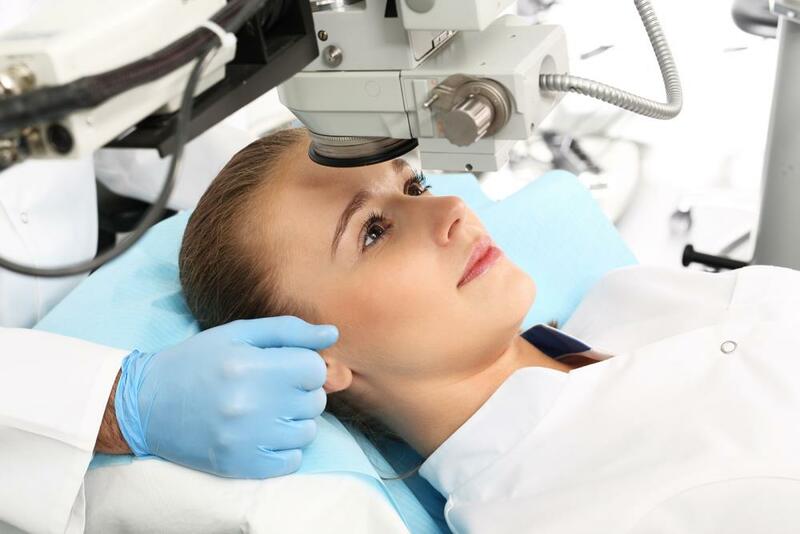 In addition to advanced diagnostic testing, our San Antonio eye doctor will consider these questions when performing a pre-operative evaluation with you. If you are determined to be a good candidate for the procedure, our eye doctor in San Antonio will then begin the referral process to find a qualified LASIK surgeon in the area. Once we’ve scheduled your surgery, our eye doctor in San Antonio will schedule several follow-up appointments to track your healing progress. Typically, your first appointment will be the day after surgery and continue over the course of the next 6 months. After a full calendar year, a final comprehensive eye exam is recommended. Our experienced team will be there to help you through any discomforts, including dry eye and make sure you have everything you need to make sure your LASIK surgery is a success! Are you interested in the benefits of LASIK surgery? Our friendly optometry team is here to answer your questions and determine if you may be a candidate. Call (210) 988-9518 or visit our optometrist in San Antonio at Vision Source Castle Hills online today to schedule an initial consultation.